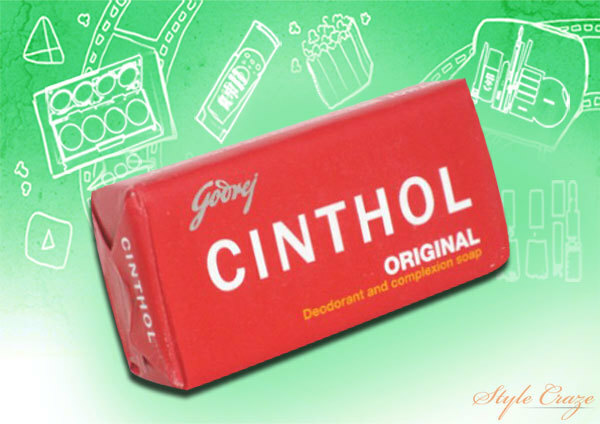 Cinthol is a brand from Godrej consumer products ltd (gcpl). This is a major soap making brand in the Indian market. This is a well known household name across the country. They are ranked among the ‘100 most trusted brands’ in the country by Economic Times in 2012. They make superior-quality and affordable products such as perfumes, deodorants and bathing soaps. This is available in a 75 gm pouch. 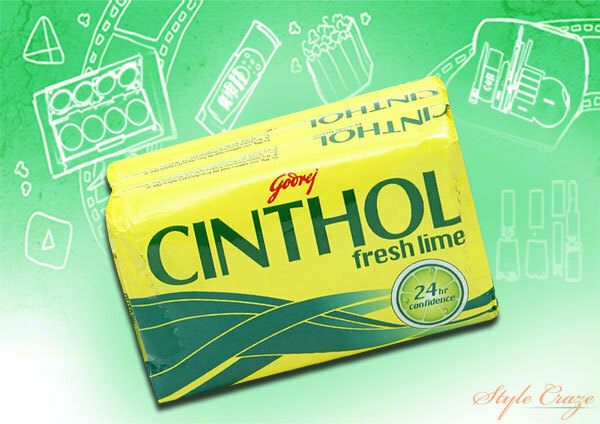 Cinthol lime soap contains active lime ingredients. This formula gives you a fresh feeling throughout the day. The freshness helps to revitalize you for the time 24×7. 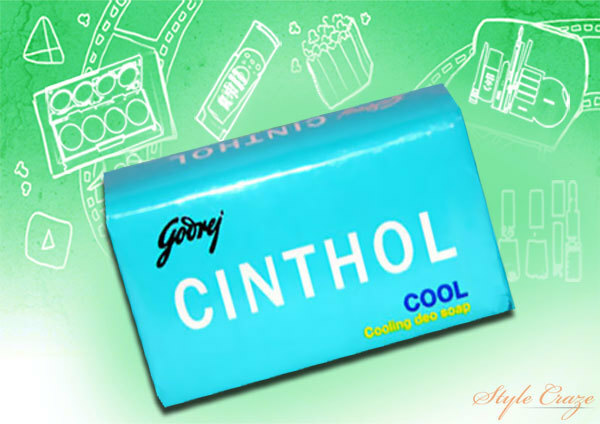 Cinthol cool soap is available in a combo pack that contains three soaps. This rejuvenates your skin and makes it super soft. 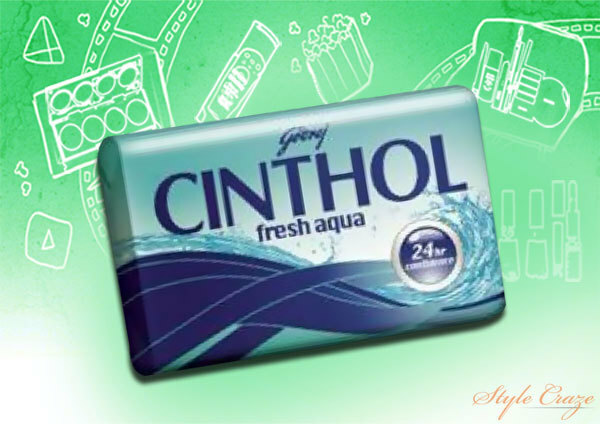 Cinthol soap has the aqua fragrance that you will fall in love with for your gorgeous skin. It is specially formulated with the cooling ingredients that leave you feeling fresh all day. This amazing soap acts as a very good cleanser for your body that makes your skin soft and supple. Cinthol deodorant and complexion soap saves your skin from the attack of heat the moment you step out of the house. This prevents your skin from dust and smoke that can cause pimples, rashes and blemishes. This soap is often recommended by doctors for skin protection. It is also useful to maintain the natural and radiant skin with glow. They come in a superior premium, which is useful to maintain the fragrance. This fresh fragrance spreads as soon as you open the pack and stays for 4-5 hours after the bath. They are specially designed and don’t slip out of your hands easily. 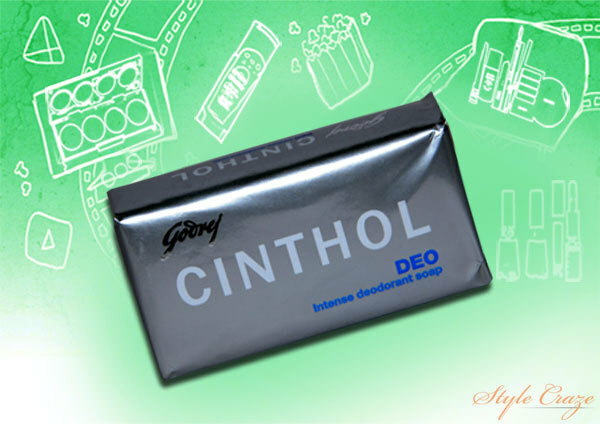 Use this Cinthol bathing bars everyday to feel fresh and rejuvenated throughout the day. 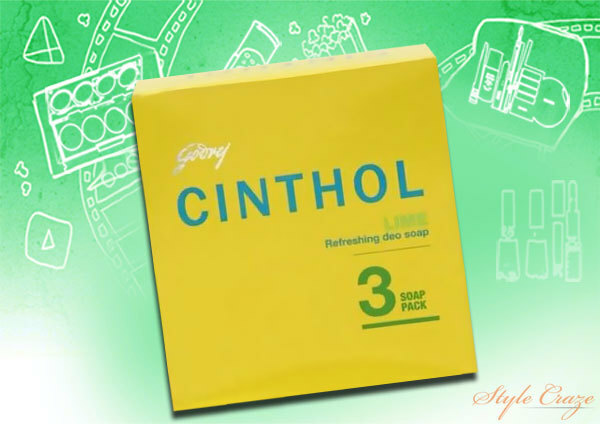 Cinthol strong soap is formulated with active deo formula that helps you to stop the growth of bacteria. This can help to keep your skin free from body odor. It is a unisex soap bar that can be used by both men and women. They contain spicy fragrance that is strong and refreshing. The superior premium packing helps to retain the fragrance. They have good ergonomic shape that is easy to hold during bathing and do not slip away. 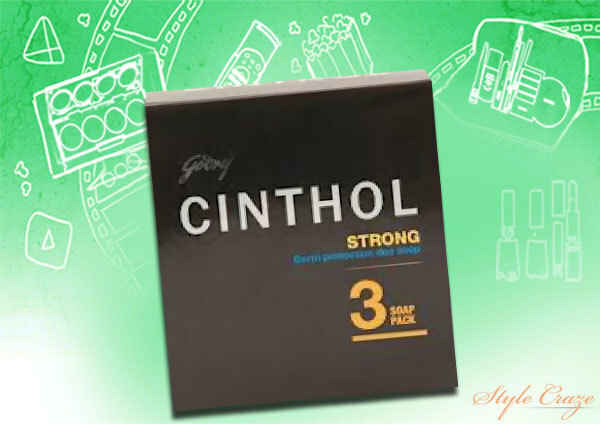 Cinthol lime pack is packed with three soaps that weight 120 gms each. These are unisex and can be used by both men and women alike. The soap is nicely designed with its comfortable and ergonomic shape. This gives you a good and effortless grip to hold the bar while taking bath. It contains fresh scent that lingers throughout the day and leaves your skin deodorized. This also rejuvenates you for the entire day. The cinthol deo has a very classic cologne fragrance that make you fall in love with. These are unisex bars that can be used by all family members. This starts and makes your whole day very refreshing. This contains ingredients like sodium palmate sodium palm kernelate, water, perfume, triclosan bht disodium edta, sodium chloride, mica/titanium dioxide glycerin, cetric acid disodium distyrylbiphenyl disulfonate. These are specially formulated with ultra scent technology that gives you the long lasting fragrance. 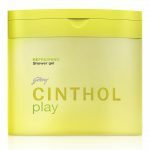 Cinthol fresh aqua Godrej consumer products are filled with a freshness and skin hydration. It is formulated with revolutionary aqua formula that ensures the skin hydration. These soaps have aqua minerals and aqua scent technology. They contain long-lasting fragrance that stays for 5-6 hours. Cinthol intense shower gel gives you protection from germs. Cinthol intense shower gel gives maximum protection that comes in a gel form. It has a very lingering spicy fragrance that gives you a very refreshed feel throughout the day and stays on for 4-5 hours. The gel is very easy to apply on the wet skin and lather really well. The fragrance is very refreshing which instantly lifts up the mood and leaves you feeling refreshed and cool. Cinthol intense shower gel removes the skin impurities and germs. It makes your skin oil free and soft without taking off the natural skin oil. It comes in a superb packaging that retains the fragrance. 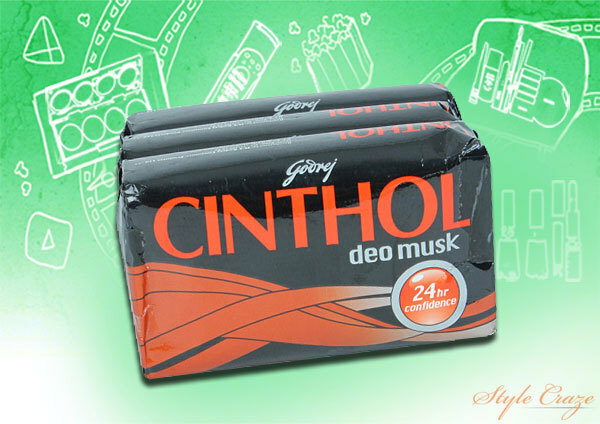 Cinthol deo musk soap contains ingredients such as sodium palmate sodium palm kernelate, water, perfume, cl 1215,sodium chloride, triclosan bht disodium edta, mica/titanium dioxide glycerin, cetric acid cl 7426. This musk soap has ultra scent technology which gives you a long lasting fragrance. Cinthol play shower gel wakes you up from the sleepy comfort of your bed in the morning and refreshes you. You can actually feel like diving into the cool freshness of a pool. This is great way to jump-start your day. The Cinthol play shower gel gives the adventurous feeling to both men and women. This revitalizing gel is filled with bursting tangy and citrusy notes. This amazing gel has a very sensual fragrance that injects in your senses and gives you an energetic feeling. This keeps you feeling fresh through the rest of the day. This thoroughly cleanses and removes impurities from your body. It helps to keep your body odor at bay. It has a smooth and non-sticky texture. This gel lathers really well which is lightweight and revitalizes you and is ideal for unisex use. Do you own any of these products from Cinthol? Shoot us a comment. Stay refreshed!